As my mom always said, “Living is Learning.” People, no matter their age, are naturally curious. Now I will say that curiosity level may be tempered by life (or some may say formal education…but I’m not about to debate homeschooling right now). As I watch Sweetpea’s unadulterated sheer joy of living, I cannot stop but wonder and appreciate her enthusiasm. 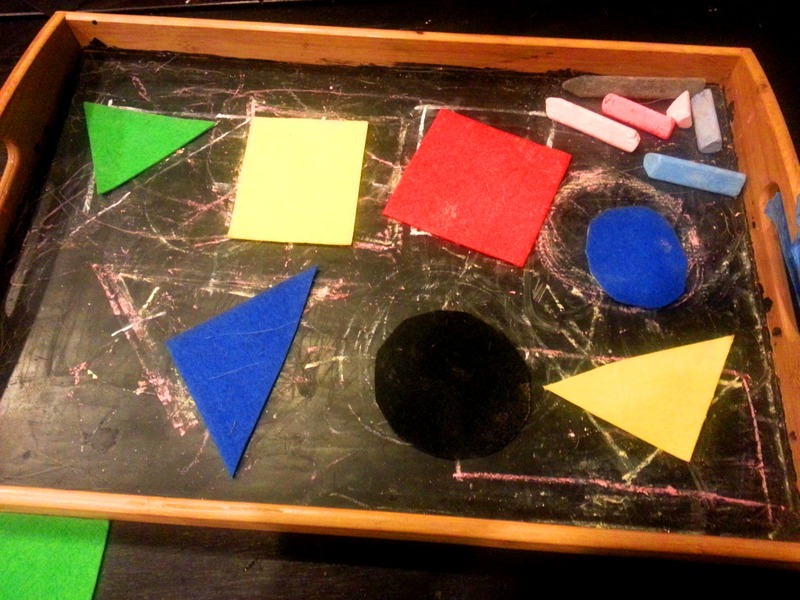 Recently, we have taken the age appropriate interest in colors and shapes. We have an interest in letters and singing our ABC’s but that’s more like me writing things and singing to myself. “ABC Mama. ABC!!!!!!!!!!!!! !” So I dutifully sing for her while she stares at me or bangs on the electric piano with me. Cut 4″ x 4″ squares of each of the primary colors. Match with rectangles of the associated color. Hand random shapes to child and let them find the associated shapes. So I recognize the pictures don’t show her doing them perfectly. But she’ll get it. I don’t feel that a constant correction of how you’re supposed to do it is needed. I’m fairly confident she’ll put it together as she seems to be doing. The mind is a curious thing.